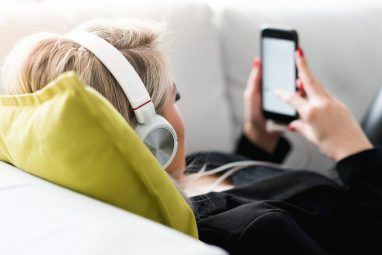 Increasingly, folks are turning to streaming services such as Apple Music and Spotify to enjoy their favorite music. Despite this, traditional terrestrial radio stations have survived. You can enjoy many of these stations on your iPhone thanks to the internet and the rise of digital radio. You’ll find no shortage of radio-based apps on the App Store. However, only a few of these are worth considering. And of them, one is clearly the best, as you’ll see below. What Makes a Great Radio App? You should consider four critical factors when selecting an app to listen to traditional radio stations. First, you’ll want to make sure the app offers the channels you want. Yes, this sounds like a no-brainer. However, depending on where you live, it may prove challenging. Since most of the best radio apps are free (if only to try), you can find this out with ease. Second, you may wish to branch out beyond your local channels. Therefore, make sure your solution offers a diverse lineup of stations including those that feature music, talk shows, news, sports, and more. Next, you may think you only want to listen to the best radio stations on your phone live and with commercials. But premium solutions might change this thinking. The most beneficial radio app solutions are those that also provide extra features such as offline listening or podcasts, even if that means paying extra. Finally, the best radio apps should receive frequent updates to fix bugs and add new features. Therefore, avoid abandoned apps on the App Store. TuneIn Radio is the best radio app available thanks to its vast, diverse library and ease of use. To date, TuneIn offers over 120,000 live radio stations from around the world across various formats, including music, sports, news, talk, and even podcasts. TuneIn groups stations by location and genre. A free TuneIn account is all you need to listen to your favorite stations in real time. Although you can’t create stations like you can through Pandora and other services, you can find out if any live stations are currently playing your favorite music. A $10/month TuneIn Pro subscription gives you the ability to record broadcasts for later listening. It also offers live games for NFL, MLB, NBA, and NHL teams. A premium subscription also adds commercial-free music and removes display ads. Access to select audiobooks is also available. Truly a free service, if you only want to listen to live stations. A premium subscription adds lots of other features. Available on iPhone and iPad, plus the web and other platforms. TuneIn isn’t a solution if you’re looking for curation. 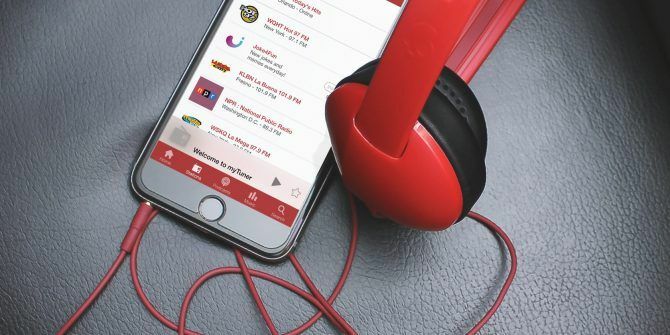 The iHeartRadio app features live broadcast and digital-only radio stations numbering around 800. While this might not sound like a lot, the stations are among the most popular in the United States. In other words, if you’re looking for a hit local station from your area, the odds are pretty good it’s available here. Content on iHeartRadio includes music, news, podcasts, sports, talk, and comedy programs. Besides offering live radio stations, iHeartRadio also allows you to create custom stations based on a song or artist. You can also create a “My Favorites Radio” station offering content based on your listening history. To date, iHeartRadio also offers two premium subscription plans: the $5/month iHeartRadio Plus and iHeartRadio All Access for $10/month. The former gives you the ability to instantly replay songs from the radio and then return to the live radio station in progress. The latter combines the interactive radio functionally of iHeartRadio Plus with the addition of a personal music collection and library. Offline listening is also possible. Available on iPhone, iPad, and Apple Watch, plus other platforms. Limited library, which is why it’s not the best. The company filed for bankruptcy protection in March 2018. MyTuner Radio first launched in 2012. Since then, its reach has steadily grown and now includes 50,000 radio stations around the world. The service is available in over 200 countries across multiple platforms. Besides iPhone, you can find the service on Apple TV, Apple Watch, Android, on the web, and in the auto market. It also claims to offer access to over a million podcasts. Currently, myTuner Radio is lacking some of the features found on other services, such as being able to listen to music offline. Additionally, the only premium option is the ability to remove in-app ads. With NextRadio, you can stream live local FM radio broadcasts plus those outside of your area. The service, which only launched on iOS devices in 2017, is entirely free to use. Stations within NextRadio’s orbit include those featuring music, talk, sports, comedy, and news. One of NextRadio’s most prominent features is the Live Guide. This allows you to see and select from what’s playing on local stations in real time all at once, rather than searching through each station for something. In doing so, the Live Guide interface displays album art and program details for better music discovery. NextRadio is the only solution on this list that works with the FM chips installed on select smartphones How to Unlock the FM Radio Hidden on Your Smartphone How to Unlock the FM Radio Hidden on Your Smartphone Your smartphone probably has an FM radio receiver built right into it. You just need to activate it, and we're here to help you do just that. Read More . This integration means you can listen to any FM channel in your area just as you can with traditional radio boxes. Current iPhones don’t have FM chips, however, which means NextRadio can only offer music streaming music. The number of stations that support the service is unknown. Limited reach on iOS devices. 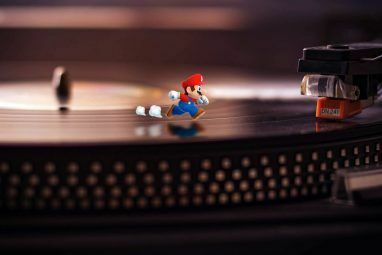 What’s Your Favorite Way to Listen to Music? There are countless solutions for listening to your favorite radio stations on your iPhone. TuneIn Radio is probably the one you’ll like the best. It offers 100,000 stations and lots of extras to provide you with hours of entertainment each day. Are you looking for more ways to listen to music on your iPhone? You might want to consider Apple Music, Spotify, or Amazon Music Amazon Music vs. Spotify vs. Apple Music: Which Is Best for You? Amazon Music vs. Spotify vs. Apple Music: Which Is Best for You? This comparison of Amazon Music Unlimited, Apple Music, and Spotify, will help you find the best music streaming service for you. Read More . There’s also Pandora, which now has a premium music service Pandora Launches a Premium Music Streaming Service Pandora Launches a Premium Music Streaming Service Pandora is launching an on-demand music streaming service to rival Spotify and Apple Music. The question is can Pandora Premium differentiate itself from the competition? Read More . Explore more about: Internet Radio, Music Discovery. I've been using mytuner for a while. I also highly recommend it. 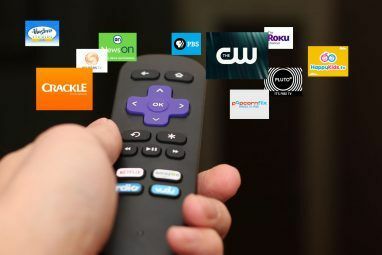 Plus, their Roku app is one of the best. Unlike cheap Android phones, Apple does not include an FM Radio chip on its phones just like the iPod was the only mp3 player without FM Radio. The advantage of having FM Radio is that it can be used in an emergency and since it doesn't require online access, it doesn't stream, so no data usage and uses less battery life. Streaming uses data and drains the battery. I would like to have that on my iPhone. I don't miss it though as every Android phone I had previously contained the FM tuner, but it was disabled by the carrier anyway.